Shelyn's fourth graders will be assembling and programming a LEGO MindStorms EV3 robotics kit. Why robotics? find more than one solution. 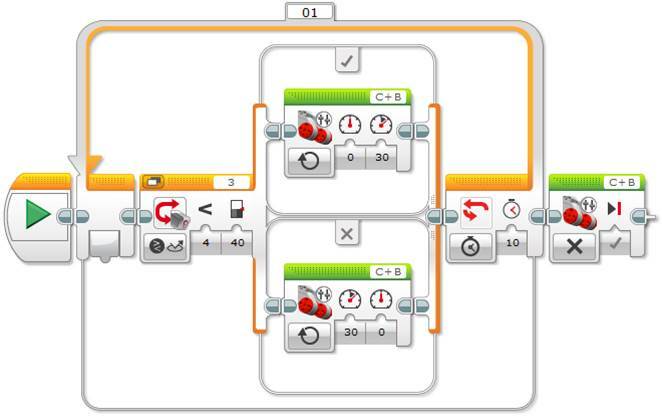 Line follow: Here's a demo of an EV3 following a line using a light sensor. (2:00) Click here to see another one. SUMO LEGOS in action on a black board and on a white board: See 2 EV3s go head-to-head in a sumo wrestling match! Here's a video on how to change the name of your brick to match your team's name. This video shows you how to connect your Brick to your Chromebook through Bluetooth. Here's a snapshot of a basic line follow program. This may help you with coding. Click on the image to see a larger one. Here you have a sumo program. Click on the image to see a video.